After experiencing a difficult childhood, Raul Lozza settled with his brothers in Buenos Aires, in 1929. His interest in political and social matters, which inspired his writings and drawings as well as his militancy in the communist party, resulted in persecution and imprisonment. In the 1930s, he worked in illustration and advertising design developing a figurative style tending toward abstraction. Between 1944 and 1945, Lozza was part of the group that published the magazine Contrapunto, which focused on visual arts and literature. He also had ties with the group that published the magazine Arturo, sharing with its members the need to revolutionize the visual arts, even though their proposals seemed ambiguous to him. When Arturo dissolved in 1945, giving birth to the Madí movement and the Asociación Arte Concreto-Invención, Lozza and his brothers joined the latter. In 1946, he subscribed to the manifiesto Invencionista and participated in the inaugural exhibition of the Association (Salón Peuser, Buenos Aires). 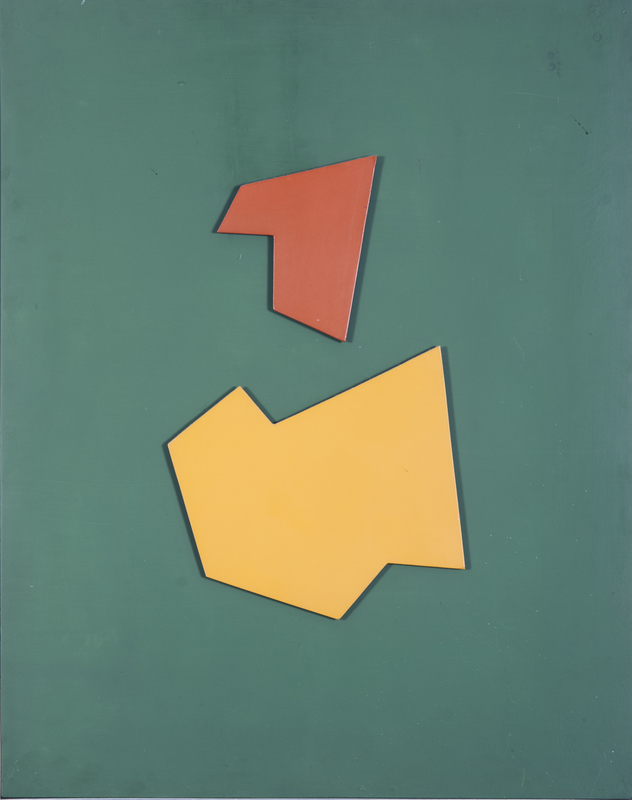 His work of this period included geometric abstract paintings with irregular frames. In these works the fields of color were divided by black lines. Later, these fields became independent and separated, subtly or manifestly, although they remained on the same plane, following what is known as “coplanaridad,” one of the most important findings of Rio de La Plata’s concrete art. Seeking to create works where forms are independent and resolve themselves in space, Lozza decided to break away from the Asociación Arte Concreto in 1947, while the rest of the members chose to return to rectangular supports. That same year, along with the critic Abraham Haber and Lozza’s brother Rembrandt, he created the movement Perceptismo, whose objective was to produce true works of concrete art. Lozza created a theoretical-practical system for art that used physics and mathematics as fundamental concepts. Thus, he spoke of campo colorido, which was the context in which the artwork was installed, ideally a wall, but for practical reasons he also utilized enameled plates on which the forms were placed, with a certain separation that gave them a floating aspect. These forms were generated from areas delimited by the intersections of a system of centrifugal lines that crossed the colorful field (called estructura abierta). Finally, through his own calculations, he created a cualimetría de la forma plana (based on a table in which he classified more than 4,200 colors) that established chromatic relations between forms and fields. In 1949, Lozza published perceptismo’s manifesto and presented the exhibition Raul Lozza: Primera Exposicion de arte perceptista (Galería Van Riel, Buenos Aires), which included mural-sized paintings. From the beginning of the movement, Lozza developed an intense campaign for the diffusion of perceptismo that included numerous theoretical writings and conferences at both the national and the international level, as well as the publication of the magazine Perceptismo (1950-1953). During the following decades, Lozza dedicated himself to practicing and spreading perceptismo through solo exhibitions, including ones presented at the Museu de Arte Moderna (Rio de Janeiro, Brazil, 1963), Cuarenta años en el arte concreto (sesenta con la pintura), at the Fundación San Telmo (Buenos Aires, Argentina, 1985), and Retrospectiva 1939-1997, at the Museo de Arte Moderno (Buenos Aires, Argentina, 1997). In Argentina, he was awarded the Premio Leonardo a la Trayectoria (Museo Nacional de Bellas Artes, 1998) and the Premio Cultura Nación (Secretaría de Cultura de la Nación, 2007). Contrapunto- Art and literature magazine published in Buenos Aires in 1944-45. It played a major role in spreading Europe’s literary, artistic and musical avant-gardes in Argentina. Raúl Lozza, Héctor René Lafleur, León Benarós, Arturo Cerretani, Roger Pla and Sigfrido Radaelli were some of its editors. Perceptismo- Movement founded in 1947 by Raúl Lozza, a spin-off from the Asociación Arte Concreto-Invención. A complex theoretical-practical system established its fundamental concepts: a colorful field, a context in which the work of art was inserted (ideally a wall, but for practical reasons this was replaced by a lacquered panel on which forms were set, with a certain separation that made them look as if they were floating). Such forms were generated from areas limited by the intersections of a system of centrifugal lines that crossed the colorful field (the so-called open structure). Finally, through calculations known as the qualimetry of flat forms, chromatic relations were established between the forms and the field.